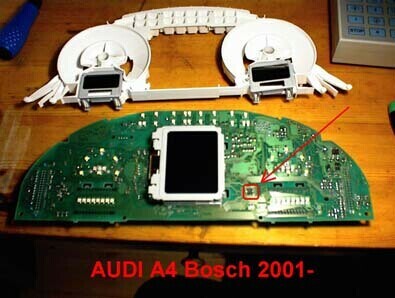 Sometimes, you may find that the file side the Genius and Flash Point ECU Chip Tuning Tool TF Card ruined. 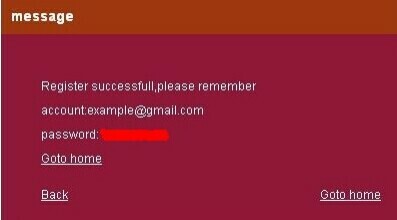 Then you will need to fix the file of the TF card. This video is to fix the TF card file for the Genius & Flash K-touch ECU Tool. Tips1: You only can use the TF card from a complete set of the Genius. Do not use the TF card bought from the local market. Tips2: Before fixing, you need to format the TF card. 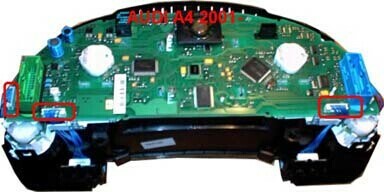 Tips3: The k-touch.img fixing file must be in disk D or disk E. Do not put the k-touch.img in the file of the disk D or disk E.
This entry was posted in Soutien technique, Tunning Chip ECU and tagged ecu flasher, eeprom programmer, french obd tool on January 28, 2016 by sales. Why need to register and activate VPC-100? 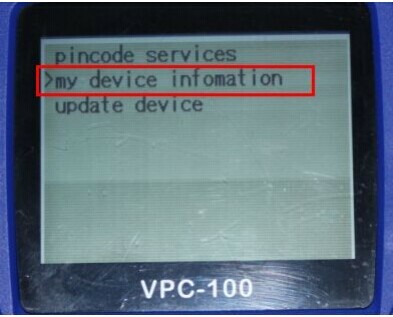 You can calculate pincode in web mode and download the update only when your machine is registered and activated. 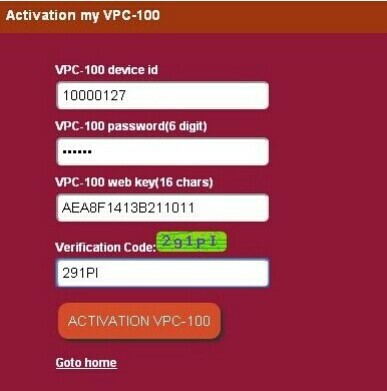 When you get VPC-100 machine, the first thing you should do is to activate it. 3. 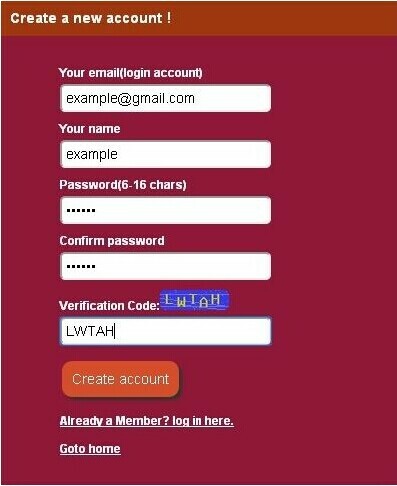 Remember your user name and password after registeration. 7. Then start VPC-100. 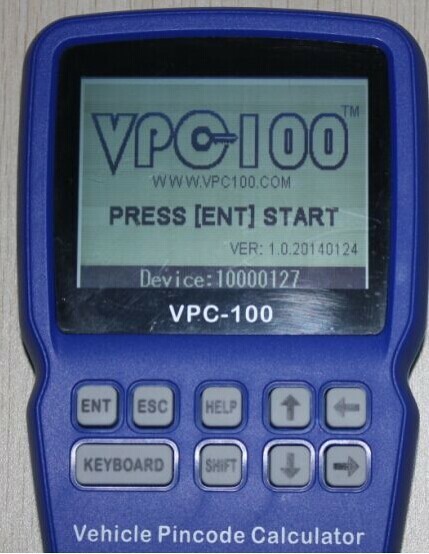 For how to start VPC-100, please read the VPC-100 machine operation instructions. 8. 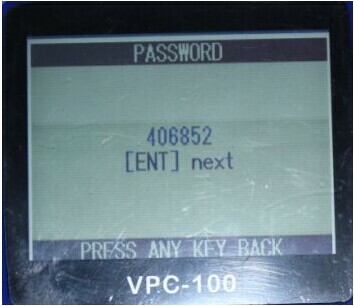 Press “ENT” button, you need to enter the machine starting password. 12. 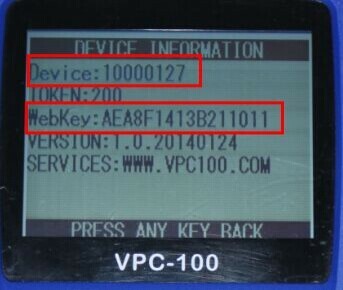 The webkey is the password for activation for your VPC-100 in www.vpc100.com . 16. After activation, you can check the update list. 17. Download the update file to your computer. For update procedures, please see the VPC-100 update demo video. 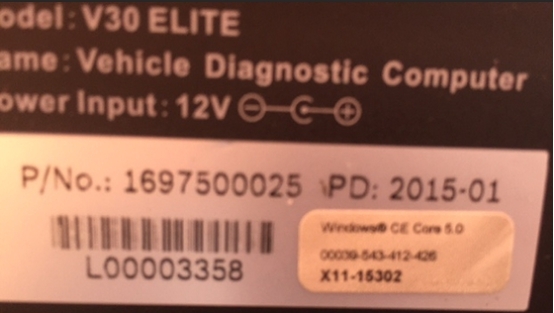 This entry was posted in Scanner de Defaut OBD2, Soutien technique and tagged OBD Code Scanner on January 21, 2016 by sales. ELSAWin 4.0 works under anyone WINDOWS NT (SP6a), WINDOWS 2000 SP2 or WindowsXP. The program is completely established on a hard disk (full installation Audi + VW + Nutzfahrzeuge with all accessible languages borrows more than 15 Gb). This entry was posted in Soutien technique and tagged audi software, vw software on January 21, 2016 by sales. 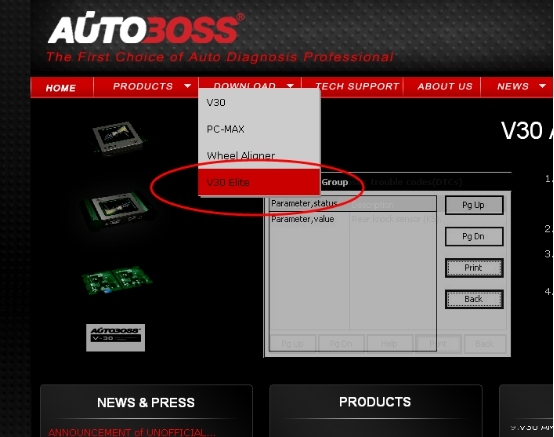 A: 1) For 5M48H, you need to use XPROG or VVDI pro to read the data. A: This is normal. Once the day become 1, you just need to connect internet. Then it will be back to 30 days again. This is setted by Xhorse company to avoid others crack their software. 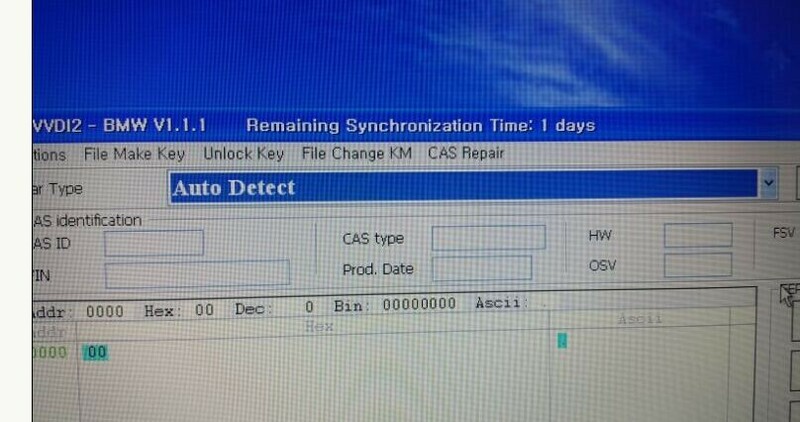 This entry was posted in Programmateur de clés, Technique FAQ and tagged Benz key programmer, VAG key programmer, VAG tool, VVDI on January 19, 2016 by sales. 4. Couverture Véhicules: Principalement pour les modèles Toyota 2015 inclus. 5. Fonctions prises en charge: les tests de diagnostic, de programmation Matching, des fonctions personnalisées, l’appariement clé, etc. Notez: ne peut pas soutenir les véhicules Honda. VCX est une interface de réseau de voitures haute performance compatible avec une variété de protocoles, et il peut être très facile de connecter différents bus de l’automobile à un PC. VCX est conçu sur la base des dernières normes internationales de l’automobile de sorte qu’il peut supporter de nombreuses applications de diagnostic automobile professionnels, y compris les parties initiales et troisième. 1. le matériel de diagnostic utilise un processeur dual-core est de niveau automobile spécifique, compatible avec tous les protocoles de véhicules. 2. MUX diagnostic peut répondre aux normes internationales, peut être configuré de manière flexible port de communication, moins connecteurs, compatible avec la plupart des véhicules de la prise de diagnostic. 3. Connecteurs et câbles de raccordement sont plus fiable et pratique pour la conception autodétermination. 4. Compatible avec 12V et 24V communication, soutenir camions lourds et d’essai des modèles diesel. 5. Le matériel répond CE européenne et les normes de la FCC américaine. 6. 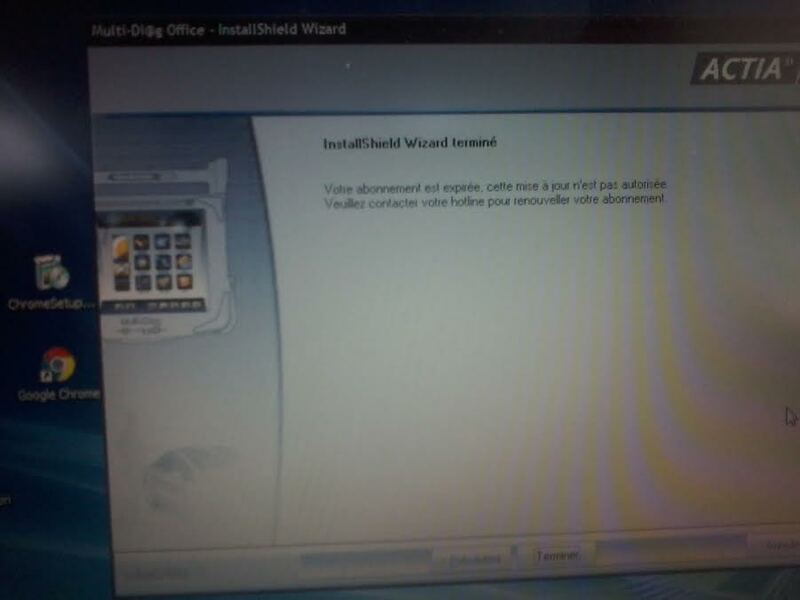 Le firmware peut être mis à jour, pour une amélioration continue. This entry was posted in Diagnostic VXDIAG and tagged vxdiag for toyota, vxdiag vcx on January 18, 2016 by sales. 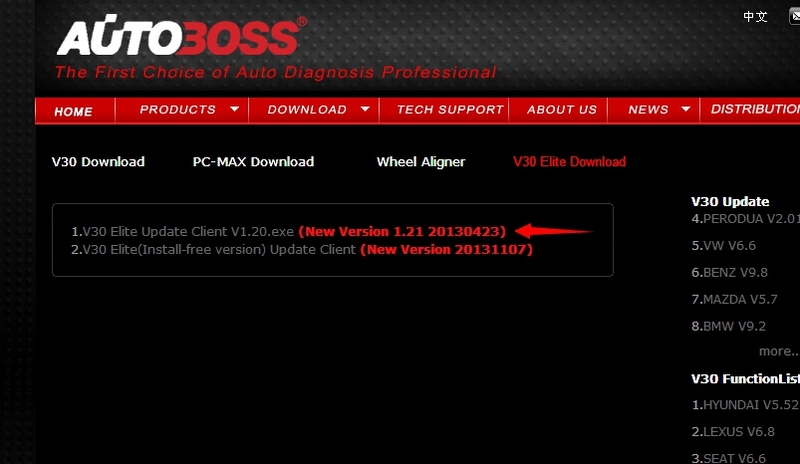 How to change the language of the Autoboss V30? Step2: You need to wait for 1 or 2 working days for the authorization. Step4: You need to insert the SD card into your computer to log in. 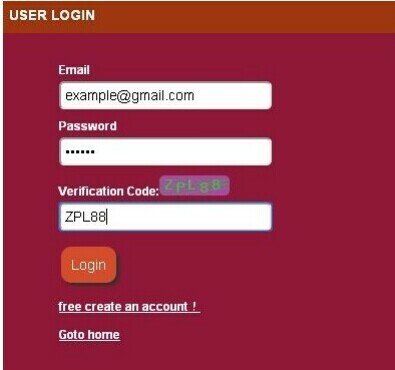 Log in with the user name and the password. 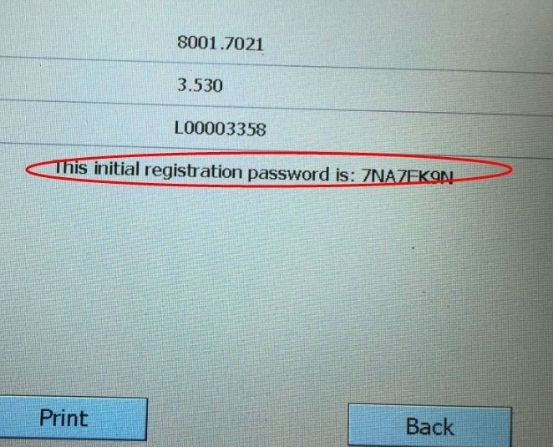 The user name is the interface series number. 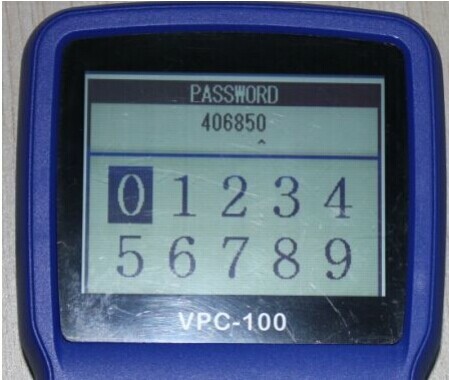 The password is in the setting part of the Autoboss V30. You need to start it to find the password. Step5: Choose Download after log in. Step6: Download the software as the arrow showed on the picture. Step7: Install the newest software after download. Step8: Check the language setting part after the software well installed. Then you can choose the language you want. This entry was posted in Appareil De Diagnostic Professionnel, Soutien technique and tagged autoboss scanner, screen scanner, universal diagnostic tool on January 18, 2016 by sales.